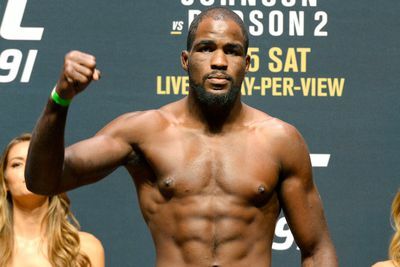 The Ultimate Fighter (TUF) 19 winner Corey Anderson will step in on short notice to fight Fabio Maldonado at the upcoming UFC Fight Night 77 mixed martial arts (MMA) event on Nov. 7, 2015, inside Ibirapuera Gymnasium in Sao Paulo, Brazil. Maldonado’s original opponent, Tom Lawlor, was forced to withdraw due to injury. Anderson (6-1) rebounded from his technical knockout loss to Gian Villante by turning away Jan Blachowicz at UFC 191 last September. Maldonado (22-8), meanwhile, is trying to shake off a unanimous decision defeat to Quinton Jackson last April. Their 205-pound showdown is expected to air on FOX Sports 1. UFC Fight Night 77 will be headlined by the middleweight rubber match pitting Vitor Belfort opposite Dan Henderson. In the FOX Sports 1 co-main event, Glover Teixeira tries to get back into the light heavyweight title hunt against the venerable Pat Cummins. For the latest UFC Fight Night 77 fight card and rumors click here.